In the penultimate novel in the #1 New York Times bestselling series, Sookie Stackhouse must work with her first love to clear her current undead flame of murder... Felipe de Castro, the vampire King of Louisiana (and Arkansas and Nevada), is in town. It's the worst possible time for a human body to show up in Eric Northman's front yard--especially the body of a woman whose blood he just drank. Now it's up to Sookie and Bill Compton, the official Area Five investigator, to solve the murder. 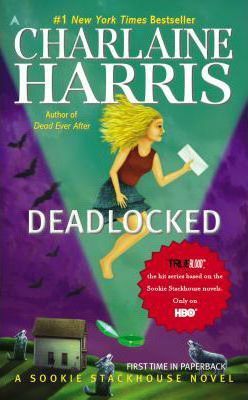 Sookie thinks that, at least this time, the dead girl's fate has nothing to do with her. But she is wrong. She has an enemy, one far more devious than she would ever suspect, who has set out to make Sookie's world come crashing down.